The city of Toledo, a World Heritage Site since 1986, is one of the most interesting cities in the country from a monumental and historic point of view. Widely known as the “City of the Three Cultures”, in which Jews, Muslims and Christians lived together for centuries, leaving an indelible mark in each of its corners. As an Association we offer several daytime and evening itineraries so that you may discover all of its riches. In addition, we can develop any route for you based on aspects of your interest in the city and the province: The Jewish Quarter, Renaissance in Toledo, Consuegra, La Mancha and its windmills… Contact us! – The Cathedral, seat of the Archbishop Primate of Spain and one of the richest churches of Christianity. Here, artistic treasures and works of art of some of the most celebrated artists in history are preserved: El Greco, Raphael, Titian, Caravaggio, Van Dyck, Goya, Velázquez, Berruguete, as well as works such as the spectacular Custodia de Corpus Christi or El Transparente. 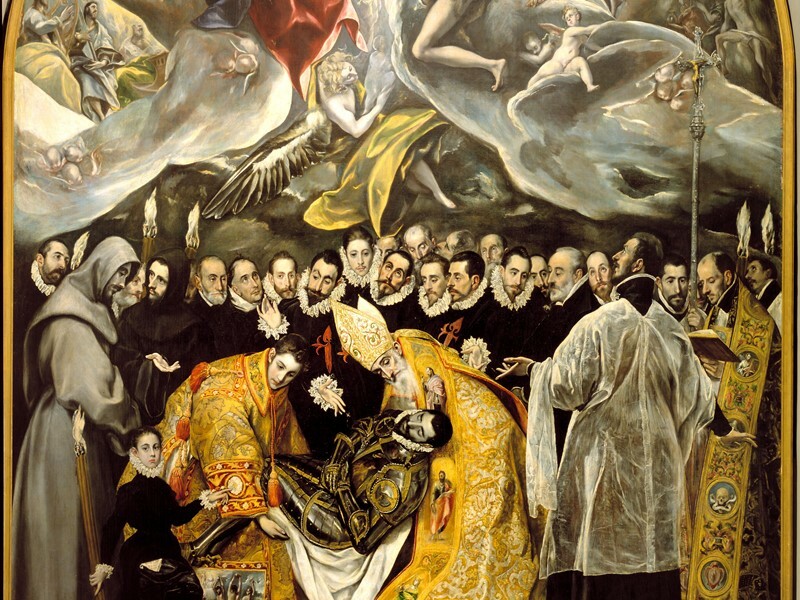 – The “Burial of the Count of Orgaz”, the masterpiece by El Greco, which can be seen at the Church of Santo Tomé. – The Synagogue of Santa Maria la Blanca, one of the only two medieval synagogues still in existence in the city. – The Franciscan Monastery of San Juan de los Reyes, commissioned by the Catholic Monarchs at the end of the 15th century as their mausoleum. – The Mosque of the Christ of Light. A mosque from the 10th century which has survived to this day, as it was converted into a church after the city was reconquered in 1085. 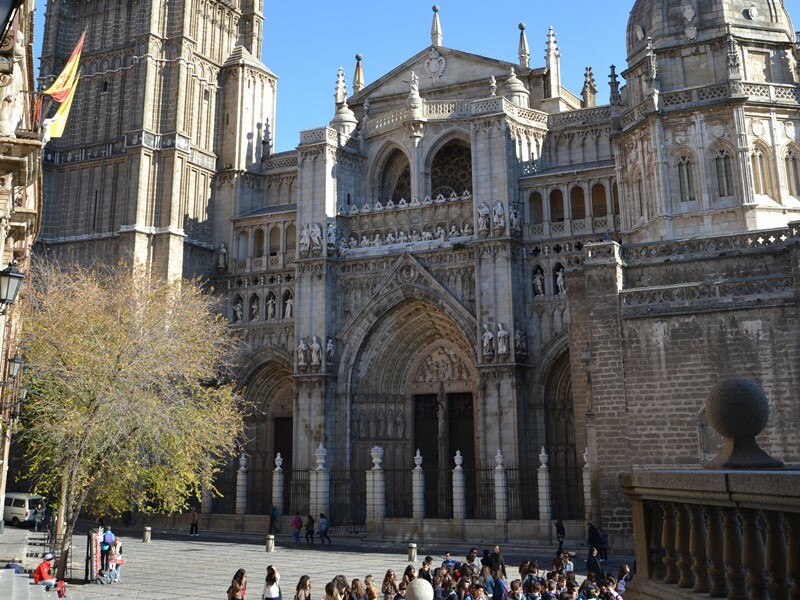 – The Church of San Román, currently the headquarters of the Museum of the Councils and Visigothic Culture, is an example of the importance of the Catholic Church in Spain, of which Toledo is the Primatial see. Perhaps one of the most beautiful mudéjar style churches of the city. 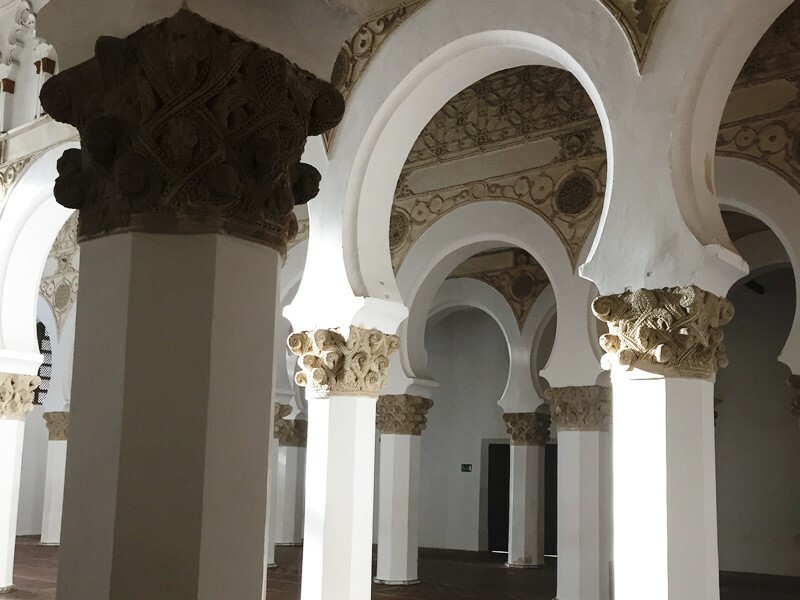 – The Synagogue of El Tránsito and Sephardic Museum. An ideal place to commemorate the passage and legacy of the Sephardic Jewish community, and one of the most spectacular monuments that can be visited in the Old Town. El Greco is the most important artist who has come through Toledo and his heritage in the city is priceless. A tour of his paintings will allow us to discover his art and style as well as the monuments in which his works are exhibited. – The Monastery of Santo Domingo el Antiguo, where El Greco painted his first canvases and the place where he would be buried. – The Museum of Santa Cruz, a former 15th-century hospital founded by the Archbishop of Toledo Pedro González de Mendoza, boasting an impressive collection of paintings by the Cretan painter, as well as an entire museum of archeology, applied arts, and fine arts. – The Church of Santo Tomé, where we can admire in situ the “Burial of the Count of Orgaz“, El Greco´s masterpiece; church in which the work has always remained. 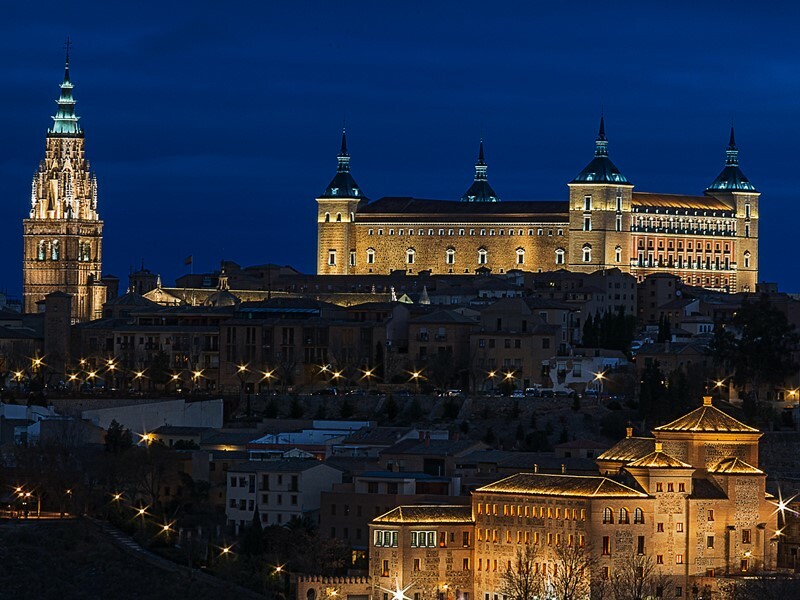 If you are lucky enough to sleep over in the city, you will discover a Toledo-by- night full of magic, legend and romance. Let us take you through its streets, hidden corners and niches, where you can immerse yourself in postcard-like places anchored in time, or descend into the bowels of underground Toledo, visiting the Roman baths of the Plaza de Amador de los Ríos; the well of Plaza del Salvador, an ancient cistern of the 14th century; or the Arab baths of Baños del Cenizal.